More often than not, as soon as you start a new lifestyle of eating, you start craving the things that are not good for you. Maybe it is a texture that you are craving, such as something crunchy. How about a keto treat that’s sweet and crunchy? Don’t let the ingredients scare you. My finicky son almost wiped out the whole batch in one sitting. Preheat oven to 300°. 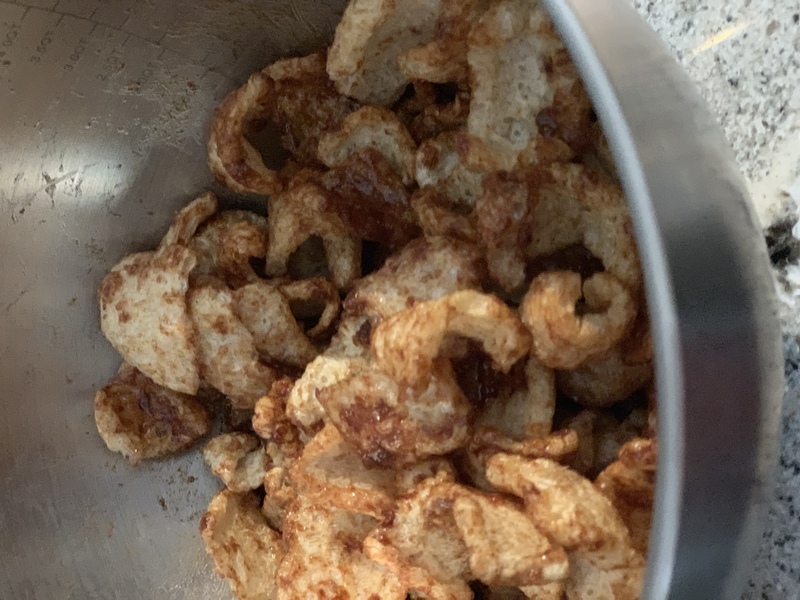 In a mixing bowl, break pork skins into 1″ pieces. Set aside for now. In a microwave safe dish, melt butter. Add xylitol and cinnamon. Stir well. 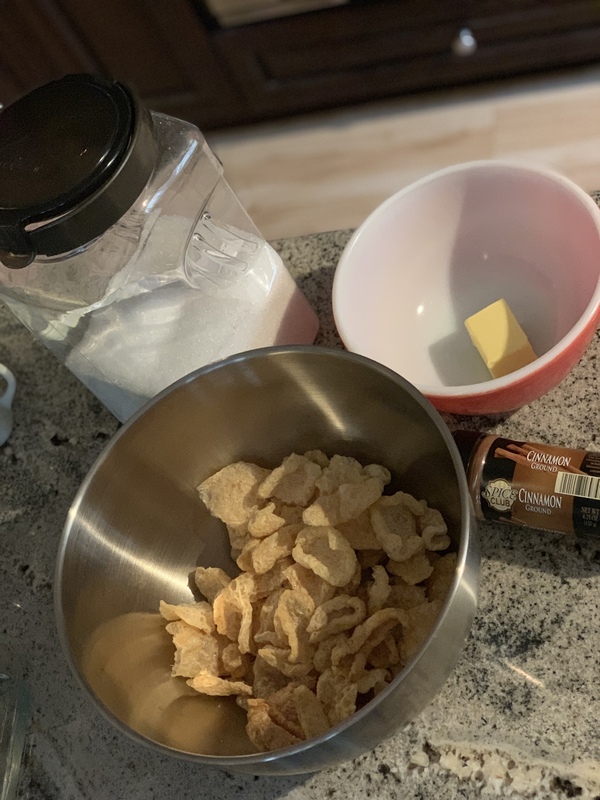 Drizzle butter mixture over pork skins. Toss to coat all pieces. Line a cookie sheet with parchment paper or one of these liners. 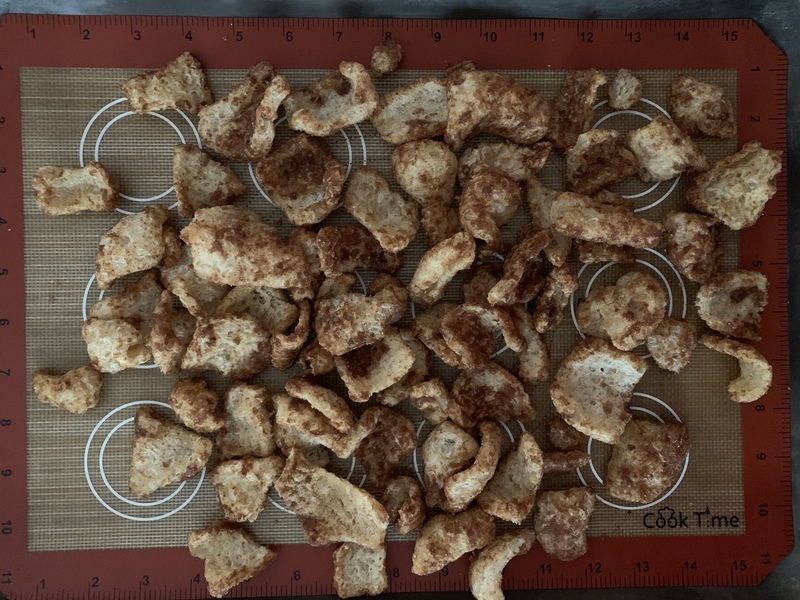 Lay pork skins on cookie sheet in one layer. Bake for about 8-10 min. Do not let them brown more than when originally bought. Remove from oven and sprinkle on additional xylitol if so desired. Let cool and store in an airtight container or Ziplock bag. Watch them quickly disappear! Enjoy! Want a dipping icing! Mix up a 2 T butter with 2 ounces of cream cheese and 2 T xylitol. Use a magic bullet if you have one. Dip away! Friends share good recipes with their friends. Just sayin’.